The 2018 Accomplishments Report is Out! Once a year, we like to take a moment to reflect on our efforts to investigate and prevent the adverse impacts of marine debris and to think about how far we’ve come. This past year has certainly been a busy one as we’ve moved forward under the guidance of our strategic plan and five program pillars—prevention, removal, research, emergency response, and regional coordination. With the help of many partners, we have been able to accomplish a great deal. 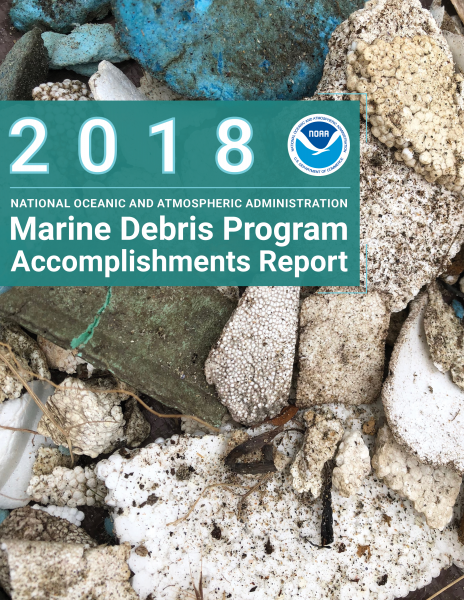 The NOAA Marine Debris Program is proud to present our 2018 Accomplishments Report, which highlights some of our major achievements over the past year. Hi Jan and Wayne! If you would like to use our marine debris curriculum, you can find it here. There are lots of options to choose from. We even have curriculum specifically geared towards Hawaiian children. Hope this helps!